We've got a new challenge over at our Seriously Creative Challenge Blog: Let it Snow! 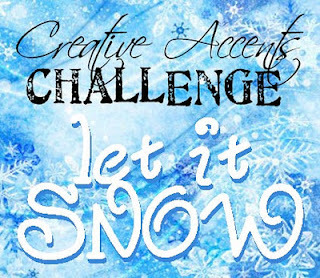 Hope you'll join us this month & play along! 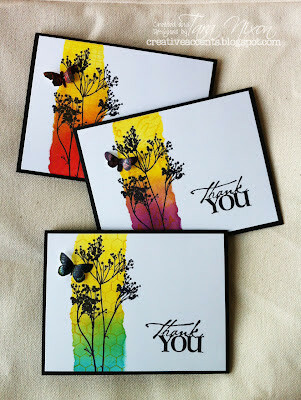 Here's the cards that Mom & I created. 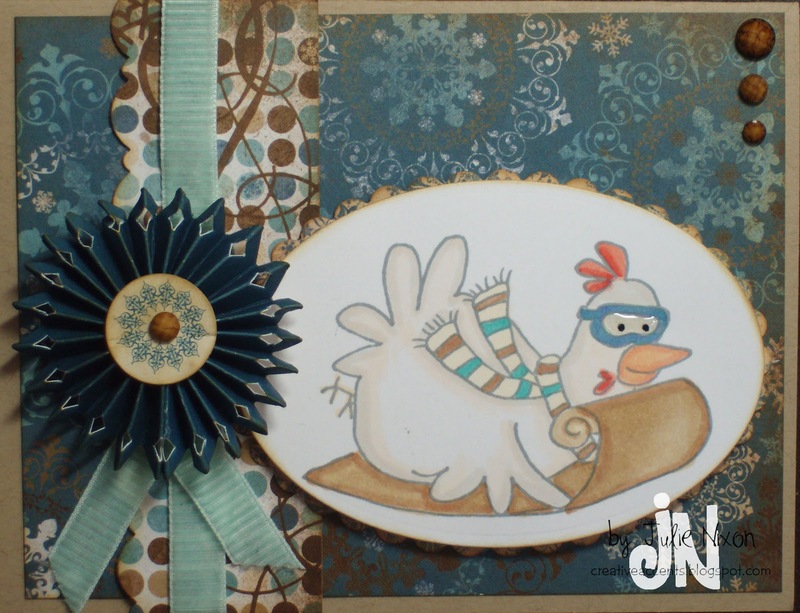 Mom used this fun Sledding Chicken image from Whipper Snapper- isn't it a hoot? 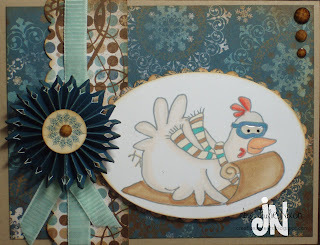 She's planning on using this for a winter birthday card- perfect! The snowflake 'rosette' is from Little Yellow Bicycle, isn't it fun? They come pre-cut and scored along with pieces to layer together with them- it's a great little pack of embellishments! And now... we wait for snow! Looks like other parts of BC got a good dose yesterday, and our turn should be coming very soon :) Happy snowy creating! Love the cards! Those papers are fabulous! Sweet cards. I like the reflection on the goggles and that rosette is so pretty! These are great, I love that Bo Bunny paper, too! Now I'm wishing I bought some of those wooden snowflakes, darnit!